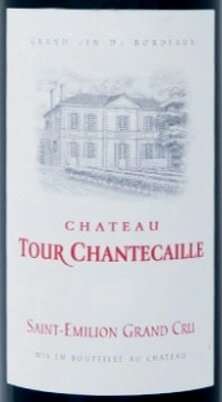 This estate is located in Saint Emilion in the locality of Chantecaille (literally the singing quail) on a superb terroir that borders of Pomerol and is very close to Château L'Evangile, Château Gazin, Château La Dominique and Château Croque Michotte. Just 400 meters from Chateau Petrus (as owner Madame Angle loves to point out), the estate has been in the family since 1879. Covering nearly 9 hectares, the Chantecaille soils are composed of light gravels, old sands and a clay subsoil layered with iron. The 25 year-old vineyard sees a green harvest and annual leaf removals, and the hand harvest is done parcel by parcel, depending upon the varieties and ripeness. The wine is made with 80% Merlot and 20% Cabernet Franc. The various parcels are separated into different lots and fermented in temperature-controlled cement vats for 4-5 weeks. Aging takes place in oak barrels, one third of which are new and two-thirds that are one and two years old, over the course of a year. The winemaking is followed by Michel Rolland’s team. Annual production averages 48,000 bottles. From its dark ruby color comes notes of chocolate, cassis, plums and tobacco. On the palate, this full-bodied, ripe and elegant wine plenty of ripe fruit intertwined with toasty notes and well-integrated, slightly woody tannins. This wine is a great partner for thick steaks, goat stew or grilled leg of lamb.